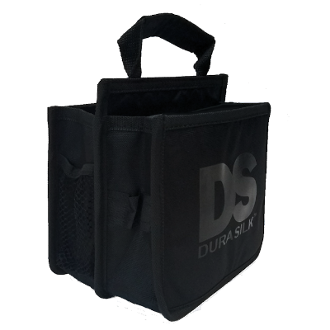 This multi use caddy works as a great sales tool, fill caddy up with the products used on your client as you provide the services. and tools. Elastic band organizer on front. Side pockets On both sides hold brushes, clips and such. Caddy folds down for storage.